!! Important note !! Angkor tours will be discontinued as of January 2017 until further notice. Sorry for the inconvenience! 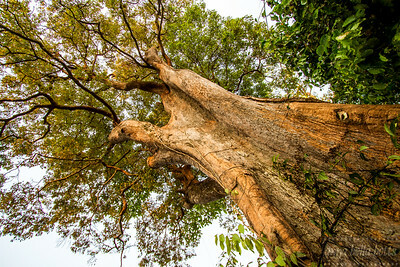 Go for a walk with an environmental expert to discover Cambodia’s amazing biodiversity and rural livelihood! Stéphane, an environmental engineer based in Siem Reap since 2002, invites you on a unique journey to share his love and knowledge of Cambodia. Opt for the Nature Discovery Walks (2, 3, 4 or 8 hours) or Countryside Discovery Trek (5 hours), put on your walking shoes and get off the beaten track! Get close to the heart of Angkor’s evergreen forest, learn about the plants and animals, find discreet evidence of an ancient civilisation and learn about the city that used to surround the temples of Angkor. Pick the most fitting duration and distance, personalise the tour with me and embark on a journey of a lifetime! 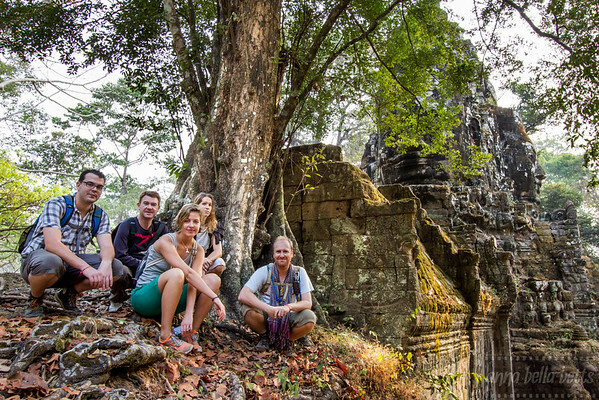 • 8 h / 15 km: A full-day tour across the Angkor park, from sunrise to sundown! Pick a short and easy walk or a day-long adventure to discover what hides from plain view of most visitors. A great care is taken in choosing location according to the season and you are guaranteed to see amazing exotic species any time of year, sometimes much closer to “home” than you would expect. Find out how noisy cicadas leave their old coats behind, observe the work of termites or admire intricately woven webs of silk. Learn the tricks of ant mimicking spiders and marvel at the gorgeous electric blue butterflies guiding you through the jungle. Walk along the quiet shaded forest paths where time stood still since the ancient times of Angkor. Here, surrounded by deep calming green you will find your connection with nature. Trek through the Angkorian countryside, get to meet and greet local farmers and learn about their lifestyle and ancient traditions. From the outskirts of the Angkor Archaeological Park we set off on foot in the early morning to avoid the heat of the day. 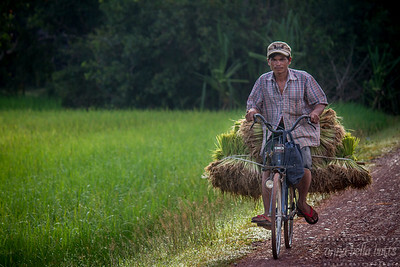 Quintessential Cambodia awaits us with emerald green rice fields, water buffaloes and oxen, children on bicycles and motorbikes whizzing past waving their friendly hellos. Various stages of rice planting and harvest will make you appreciate your next mouthful as most labour connected to the Cambodian number one staple is done by hand. We cross ancient dykes and through varied landscape head towards the hillock of Phnom Bok with a set of stunning temples on the top. The views from atop are truly spectacular but have to be deserved – the choice is yours: either a steep 2km jungle path or 660 steps straight to the top. A delicious cold coconut will be appreciated before taking your ride back to town. All these tours are private and personalised, with a recommended group size up to 6 guests. For more information, pricing, availability and booking, contact Stephane.